These menthol crystals are a simple and medicine free way to unblock noses and relieve congestion. 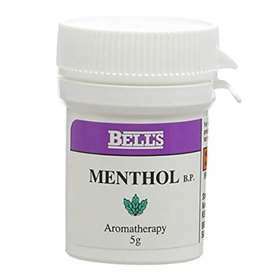 The concentrated menthol vapour can be inhaled through the nose and works quickly to deliver cool and clear breathing. Can also be used for those who suffer from aeroplane ear, simply ask the cabin crew for a cup of hot water, dissolve the crystals in water and inhale the vapours through the mouth and nose. The vapours help to unblock the Eustachian tube where pressure builds up and causes discomfort. A few crystals added to a small bowel of water will produce very strong vapours. These crystals irritate the skin and eyes. If swallowed contact a doctor immediately.